Meet the best land roller on the market! Our ultra heavy-duty land rollers are built to outlast and outperform the competition! 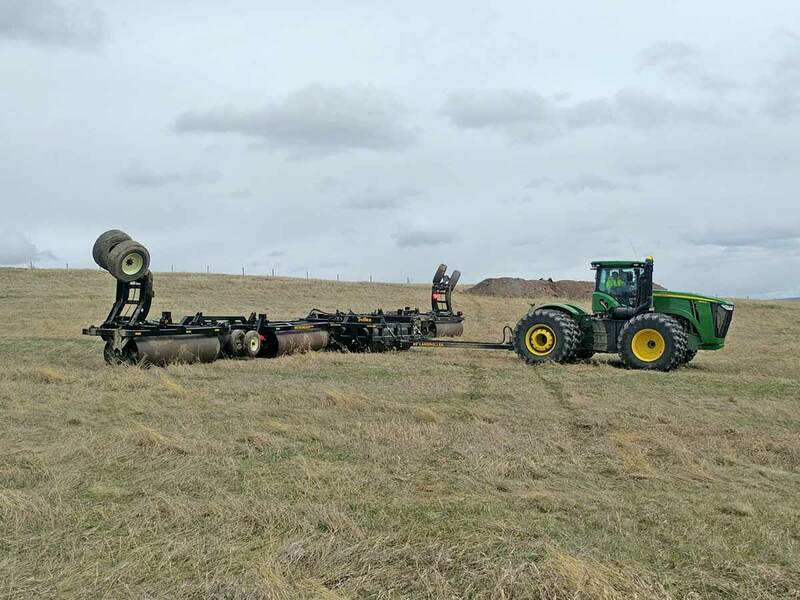 Though land rollers are not new, many modern-farmers have found new ways to implement the land roller to help save them time and money. The Truflex land rollers is available in variety of widths, with custom widths also available, and are adaptable to virtually any situation. 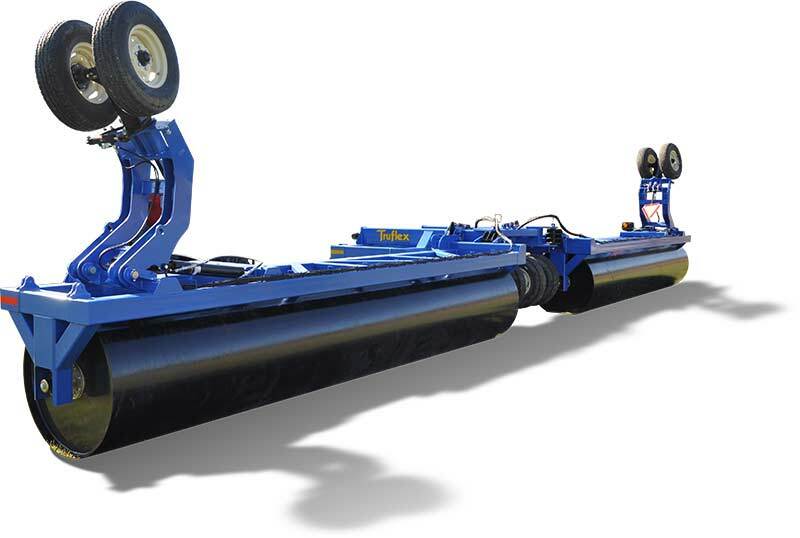 Our unique land roller design features large diameter drums and ultra heavy-duty components designed to outlast competitors’ models. Reduce Equipment Damage: Rocks and other common types of field debris can damage implements such as a swather or combine. 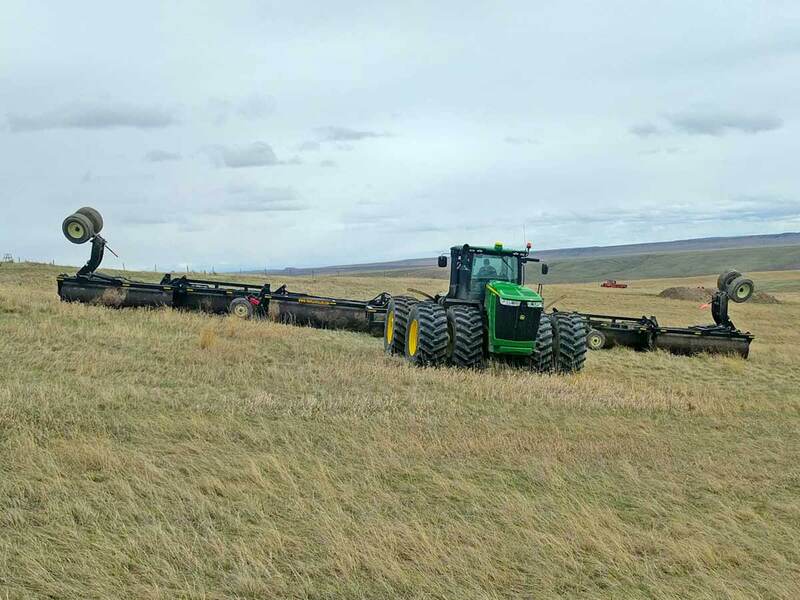 Using a land roller pushes surface rocks down into the soil, keeping them out of combine and preventing costly and time-consuming repairs. Additionally, sickle bar knives/bars can also break in uneven fields with surface debris. Land rolling provides a simple way to prevent equipment damage. Increased Crop Yields Using a land roller has been linked with an increase in crop reduction and a number of studies have been performed that confirmed this. Pulse crops such as field peas, as well as soybeans and many others benefit from rolling, with yields increasing 2+ bushels per acre in many cases. Additionally, when farming pulse crops in a rolled field you’re able to reach lower pods on the plant as you can cut lower without getting additional dirt in the hopper. This also applies to feedlots, where swathing closer to the ground increases tonnage and maximizes your harvest. 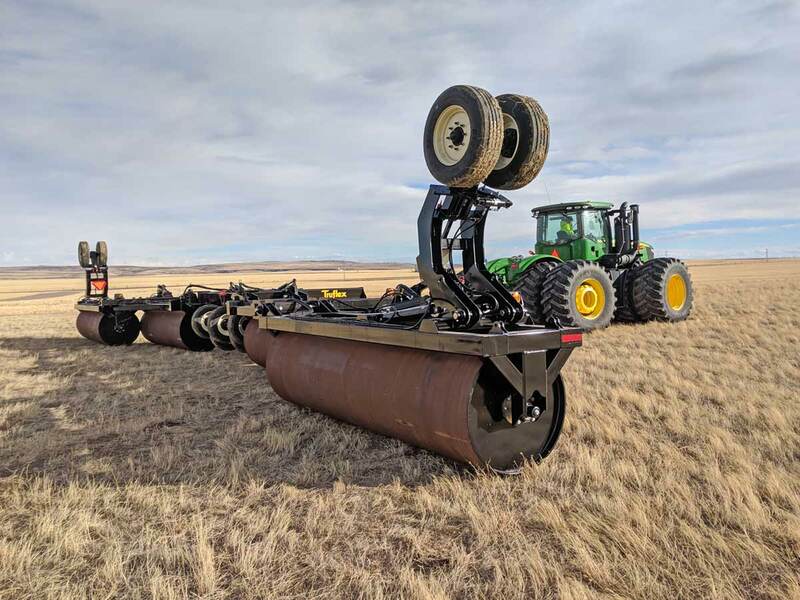 Land rollers make this possible, while simultaneously reducing the risk of rock damage and running excess soil and debris through a combine or forage harvester. Increased Germination Rates: Land rolling increases seed to soil contact, as well as soil moisture levels, both of which help to increase germination rates. In addition to increase germination rates, this also leads to better and more uniform crop coverage, helping to improve yields and profitability. Harvest Efficiency: Using a land roller to prepare the soil will push rocks and other surface debris into the soil, allowing you to harvest closer to the soil surface. Land rolling also helps smooth out the field for subsequent operations like spraying. Growers of pulse crops like field peas often need to harvest close to the ground to maximize yield. Pulse crops are often short where it is dry and lodging can be a problem where it is wet. Similarly, feedlot operators want to be able to maximize tonnage by harvesting the optimum amount of silage crops by swathing very close to the ground. 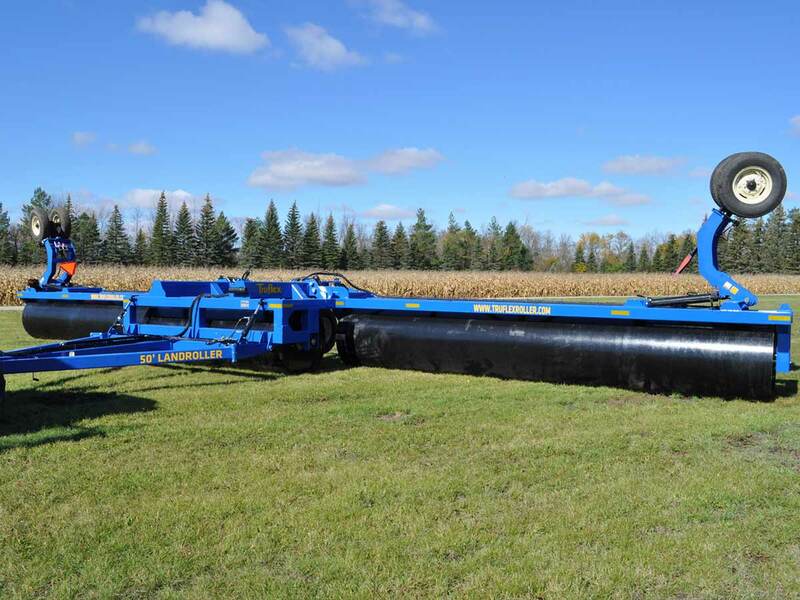 In these cases, land rollers will help reduce the risk of picking up rocks or putting excessive soil through the combine or forage harvester.